Tune Sweeper 4.17 – Remove iTunes duplicates and fix track data. 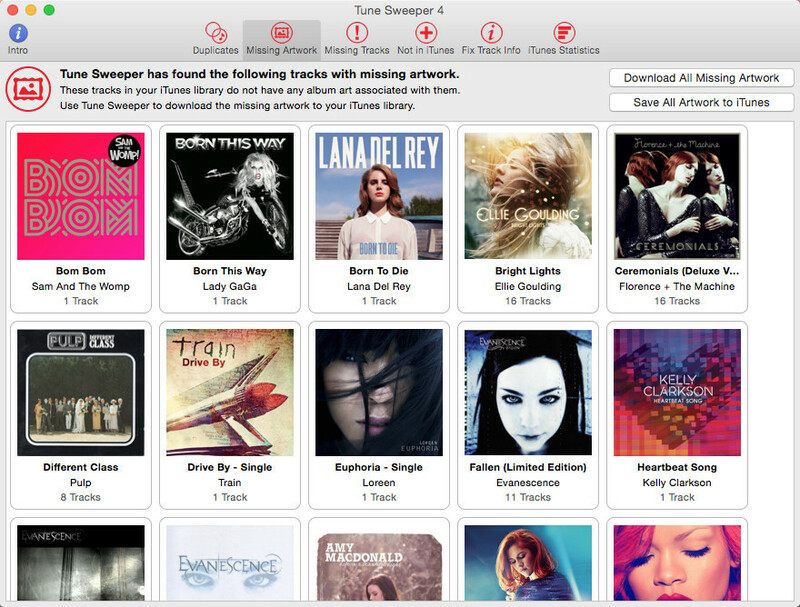 Tune Sweeper is a powerful tool for cleaning your iTunes library. It makes finding and removing duplicate tracks from your iTunes library a breeze. Tune Sweeper can also be used to download missing track information and artwork to your tracks. Tune Sweeper searches your iTunes library for groups of duplicate tracks based upon the selected search criteria that can be modified to suit your needs. You can then use Tune Sweeper’s built in ‘keep selection preferences’ to automatically select which duplicate tracks should be removed based upon the preference selected. Alternatively, you can manually mark individual tracks for removal or ignore whole groups. With a click of a button, the duplicates marked for removal are removed from iTunes and sent to your trash. Tune Sweeper can also be used to identify and remove tracks that are listed in iTunes but are no longer on your Mac. These are tracks that display an exclamation mark when attempting to play them in iTunes. Tune Sweeper can even be used to scan your Mac for tracks that are not in iTunes and then add them all to iTunes with just a single click. This latest release of Tune Sweeper also includes the additional functionality to download missing track information and album artwork to your iTunes library. Tune Sweeper uses a proven digital fingerprinting technique to identify your tracks and download the appropriate track information to them. Once saved, your iTunes library will automatically be updated with the new information. Next story MovieMator Video Editor Pro 2.5.1 – Full-featured video editor. Previous story Adobe Photoshop CC 2018 19.1.7 – Professional image editor. Piezo 1.2.3 – Quickly record audio from any application. FuzzMeasure Pro 3.3.3 – Measure/graph frequency response of speakers and more. Sound Studio 4.7.0 – Robust audio recording and editing tool.